The team buliding exercises taught me a lot and highlighted points that will be easy to remember. I also appreciate how much of yourself you gave over the course of the program. Relating things directly to yourself and opening up about yourself made you very approachable to everyone and, I believe made it easier for us to open up. You have developed something truly remarkable in Team Top Gun" -- Jarol Currier, Director, Visual Communications, Mary Kay, Inc.
Dr. John W. Hanes, Ed.D has always had a missionary zeal to help leaders and organizations improve their effectiveness. He is one of the nations most dynamic facilitators, known for his fast paced, hard hitting delivery. John is a sought after consultant to executive groups and is noted for his "real world" application of concepts. Since 1986 he has been president of Effectiveness Dimensions International, a southern california based leadership development and consulting firm. John has personally trained over 25,000 managers from over 1,500 organizations in his nationally acclaimed leadership seminar, Team Top Gun. He has conducted over 1,500 executive candidate assessments and is the author of 11 psychological instruments and 7 training simulations. Prior to starting Effectiveness Dimensions, John held leadership positions at Caterpillar and Key Bank and was a Visiting Senior Scientist with the world renown Battelle Memorial Institute and The Center For Creative Leadership. 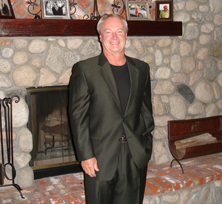 John lives and works in both Lake Arrowhead and Irvine, California. He holds a doctorate in leadership from The University of San Diego along with bachelors and masters degrees in management. His diverse client list includes Fortune 100 corporations, federal, state and local governments, prestigious "think tanks", internet companies, sports teams and the military. John is passionate about most major sports and enjoys an active year round sport oriented lifestyle.